Fishermen are a tough lot to buy gifts for, but I’ve yet to meet the angler who will turn down a free piece of tackle. Having trouble deciding what to buy for the anglers on your holiday list? Here are 10 gifts that are guaranteed to please the fisherman in your life. With a regular price of $80, the Sahara is a quality spinning reel that’s part of Bass Pro Shops’ Black Friday event and is on sale for $50. 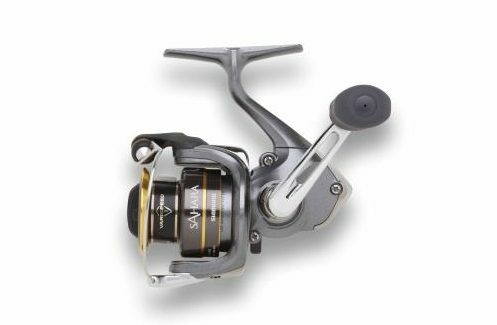 This lightweight reel from Shimano features a Line Propulsion system to allow for smoother casts and 4 stainless steel ball bearings. The best part is that the sale starts Wednesday the 24th, meaning you won’t even have to camp out after eating your turkey or fight crowds early Friday morning. This tool is a must-have in any angler’s tackle box. The CeramiX’s ceramic blades will never require sharpening and will never get rusty, which is more than a few steps up from your typical cutting tool. 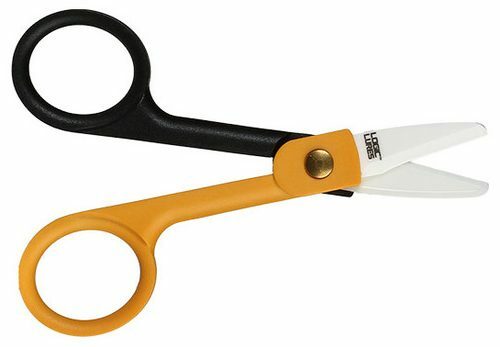 It also features rounded edges so you don’t stab yourself while rummaging in your tackle box, cuts any type of fishing line easily and comes with a convenient lanyard. 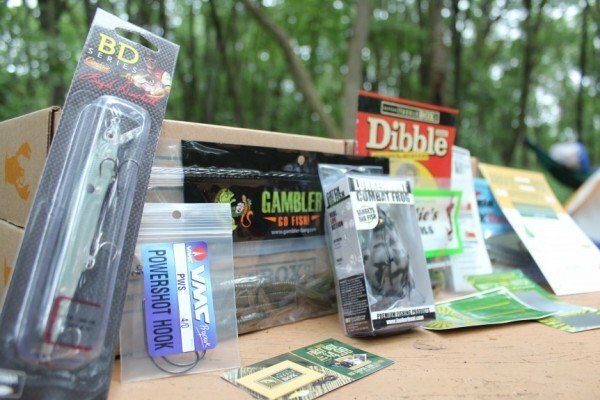 Because anglers can be very picky, if you’re having a rough time trying to figure out what to buy, a gift card slipped into your angler’s stocking will never miss. 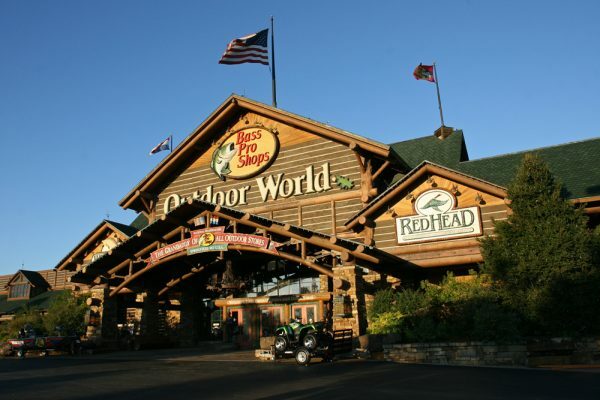 Treat your fisherman to a shopping spree at Bass Pro Shops or Cabelas and let them use the gift card on whatever they want. What better gift than a box of assorted tackle that arrives at your door each month? A subscription to Mystery Tackle Box or Lucky Tackle Box makes an excellent gift and provides your angler with a monthly delivery of high-quality lures and terminal tackle. If you’re really looking to spoil the angler in your life this Christmas, one great gift idea is commemorating their best catch by having it made into a fiberglass replica. Most places offering this service require measurements and photos and can take a few months to complete, but it’s totally worth it. 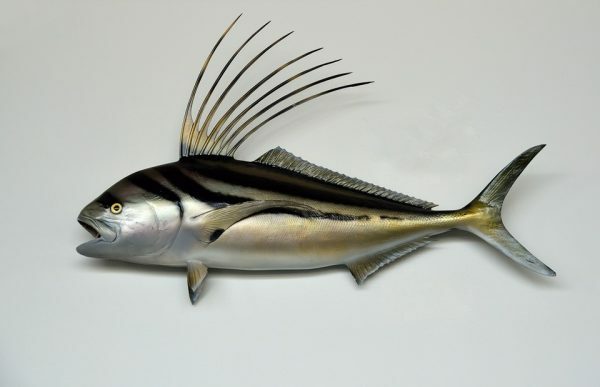 Prices will vary, so call around and be prepared to spend at least $200 for a quality fish replica. 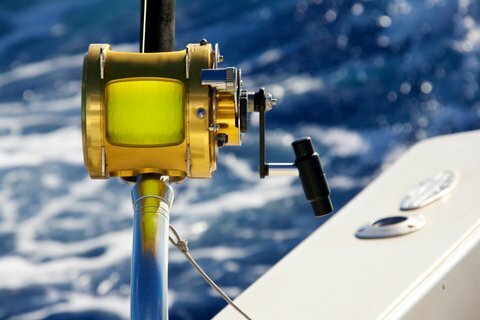 Another great idea if you’re looking to splurge is booking a fishing getaway for your angler, complete with lodging and a local guide to put them on the fish. All anglers dream of flying into a secluded Canadian lake cabin for a weekend of record muskie fishing or a warm trip to the salty flats to target the mighty tarpon on his home turf. Obviously, prices will vary from region to region, but if you have the means, this is a perfect gift for your favorite angler. Whether the angler on your list loves fly-fishing, deep sea fishing or bass fishing, every angler enjoys documenting their experiences on video. You can make this a holiday season to remember by giving the angler in your life a mini action cam. Compact, durable and easy to use, mini action cams are a fun and easy way to capture quality videos of fishing trips. 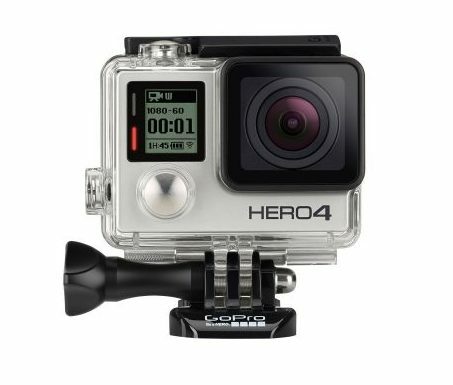 When purchasing a mini action cam, some the best features include motion-activated recording, a built-in display screen, water-proof design and easy navigation. Every angler needs a quality pair of polarized sunglasses. A good pair of sunglasses is essential to seeing the action below the water. 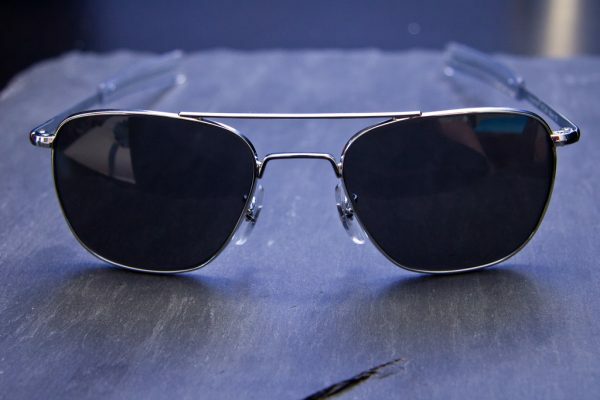 Even if the angler in your life already has a pair, it is always nice to have a backup, because you never know when your favorite pair of sunglasses will be damaged or lost. Polarized sunglasses reduce the reflected light, making it much easier to see below the surface of the water. Some high-quality pairs filter out specific wave lengths of light, for even better vision on the water. No matter what type of fishing your angler enjoys, there is always a need for a good all-purpose tool. 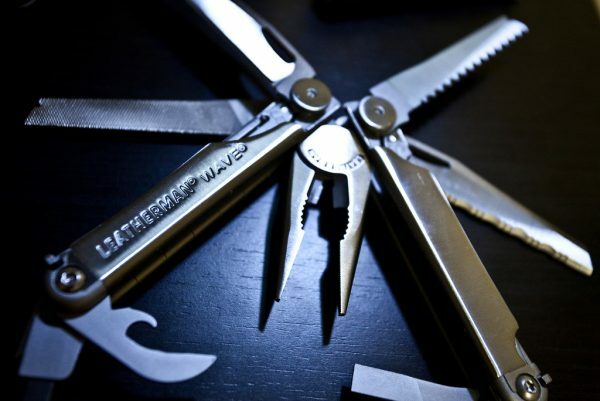 There are many types on the market, but the best for angling include a good pliers, sharp knife, nail-clipper or scissors, and a file or hook-sharpening tool. Make sure to buy a quality model that is well-built, can withstand a fair amount of abuse and works smoothly. 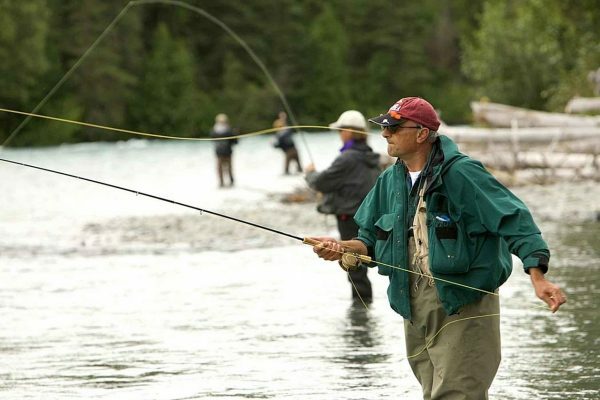 For adventurous anglers that enjoy fishing rivers, a good pair of waders are an essential possession. Keep in mind that some waders are baggy while others stick are thicker like wet suit. No matter what you’re using it still exposes you to water temperature, so it’s an essential to choose a pair that’s thick enough to accommodate your local waters. 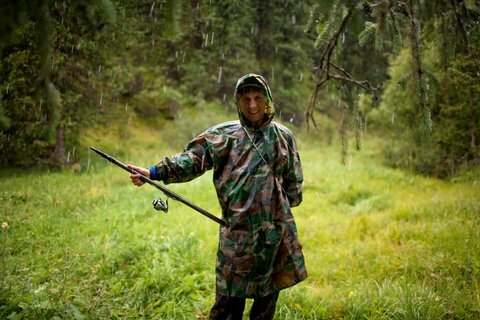 Most anglers will not let a little rain wash out their day on the water, which is why it is always helpful to have some good rain gear to stay dry when the weather turns wet. The best rain gear is durable, light weight, provides some warm and, of course, keeps the rain out. Your best bet is to buy a set of rain gear that includes both a top and a bottom, for optimal coverage.